The Liberal Party is split on who is best positioned to win -- but we seem to agree on one thing: it's gonna be a girl. This isn't some instance of affirmative action. From every conversation I've heard, Liberal partisans want the most qualified person to be Premier. It's just that most Liberals believe the best person is either Sandra Pupatello, the front runner, or Kathleen Wynne, her clearest rival. A war story and a poll seem instructive to the Ontario Liberal leadership race, which looks to be coming down to a fight between the two female contenders. First, the story: It was the night of the Kitchener-Waterloo by-election. The Liberal candidate had just been dealt a devastating defeat. Two months prior, there were high hopes the seat would switch hands, electing a moderate Liberal lawyer in place of the retiring moderate Tory. The seat had the added importance of deciding whether the McGuinty government could sneak back into a majority Legislature. But the Ontario NDP had other ideas. And having crossed the Rubicon, the Liberal Party could only watch as a popular local Dipper candidate -- and a popular leader in Andrea Horwath -- flummoxed the best laid plans of strategists and staffers. Driving back to Toronto from a day pulling the vote, the conversation was nervous. 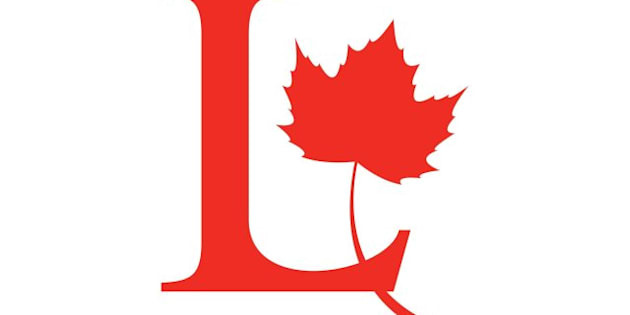 The Liberal candidate had finished in third place, trounced by the NDP. If the NDP could win in a semi-urban, southwestern Ontario, small-C conservative riding, what harm could they do in Toronto Centre or Don Valley East; what Liberal members were suddenly facing a threat on their left flank? The Conservative vote isn't going anywhere and hasn't since the last election. Eric Gérnier cites the polls: the Tories are unchanged since October 2011 at 35 per cent, whereas the Liberals are down 10 per cent to 28 per cent, with at least 8 per cent going to a surging NDP, which stands at 31 per cent. The message is stark: pick the wrong leader, and the Liberals could fall to third place for the first time since I was in diapers. The Party is split on who is best positioned to do just that -- but we seem to agree on one thing: it's gonna be a girl. This isn't some instance of affirmative action. From every conversation I've heard, Liberal partisans want the most qualified person to be Premier. It's just that most Liberals believe the best person is either Sandra Pupatello, the front runner, or Kathleen Wynne, her clearest rival. Pupatello's supporters say she's a terrific communicator: she's feisty and blunt. Along with her centre/centre-right policy leanings, she boasts of her time as Economic Development Minister and her brief interlude on Bay Street this past year. Kathleen Wynne stresses economics too, but she emphasizes the "why" of a strong economy, notably continuing to rebuild healthcare and improve our education system. Wynne, the former Education Minister, is also a sharp communicator, equally direct as Pupatello but she's more conciliatory than combative, drawing on her experience as a mediator, school trustee and activist. Hampered by a deficit and global economic uncertainty, this isn't a fight between the right and the left of the Party, as some commentators tried to suggest early in the race: instead, we're all centrists now. But the race is coming down to two competing narratives. There's a sense, right or wrong, that Wynne is the best choice to govern, but Pupatello is the best choice to fight an election campaign or, if need be, serve in Opposition. It's as if the Party is confronted with a strange division: do we pick a Premier or a Party leader, when the reality is the winner must be both? To counter this perception, Pupatello has recently claimed she doesn't want a snap election and would instead focus on creating jobs across party lines -- once she's elected back into the Legislature in an as-yet-uncalled byelection. Likewise, Wynne emphasizes her exceptional electoral record, including defeating a cabinet Minister and a Party leader when John Tory ran in her swing suburban riding, a feat Michael Bryant calls "an unmatched political triumph." Despite her past successes in a multi-ethnic riding that went Conservative federally, Bob Hepburn suggested there's trepidation about the electability of Wynne's sexuality. Yet, such a piece is written about every candidate who qualifies as "the other"; someone could just as easily write a piece asking if Ontario is ready for an Italian Premier as a lesbian Premier. Prejudice is what prejudice does. In the end, whenever these questions are raised, the voters choose to make history (except when you're a Mormon named Mitt Romney). So it seems nearly a foregone conclusion that Ontario's next Premier will be a woman. But, ironically, in a delegated convention, it's the other five candidates, all men, who will decide whether it's Pupatello, the scrappy warrior, or Wynne, the steady mediator, who moves into the Premier's Office.